After paying for housing, our next largest monthly expense comes from transportation. Not only do we have car payments (just like most Americans), but there are plenty of other expenses tied to transportation each month. 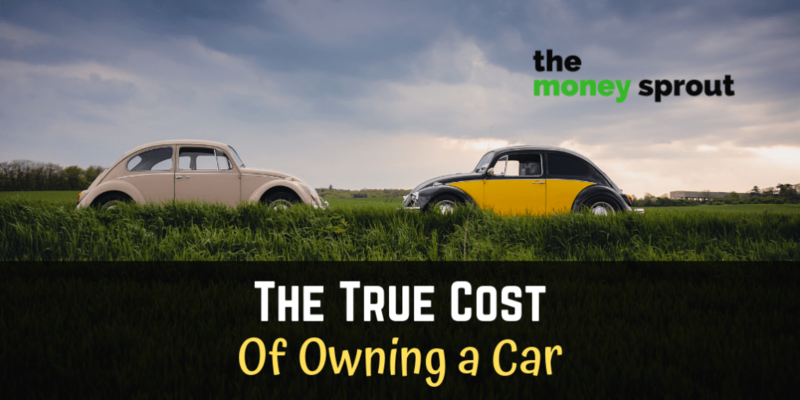 The makes the true cost of owning a car a lot higher than what it may seem. For those interested in building wealth and saving money, the focus should be on cutting back on the big stuff … like housing and transportation. The benefits of cutting cable or eating out less are not even close to what you could expect by giving up one of your cars or even all of your vehicles. Recently I shared how much it really costs to own a home. Last year our housing expenses accounted for 36.7% of our overall spending. On average we spent $1,845 a month to live in our home … which included things like mortgage payment, insurance, maintenance, utilities, and HOA fees. That is a lot of spending for shelter. So we are exploring opportunities to cut back or downsize. The next biggest monthly expense in our budget is on transportation. While we don’t spend as much to drive our cars as living in our house, it is another big line item in our budget. If we are to ever push our savings rate over 50%, we will need to reduce our housing and transportation expenses. Today I would like to share our true cost of owning a car (or two cars in our case) last year (2018). What Cars Do We Own? We have owned the same 2 vehicles now for almost three years now. One is a van (almost 7 years old) that we bought new with a low interest rate. It is used to transport the kids around to different events and for family trips. The second is a car I purchased over two years ago. Prior to this purchase, I drove a car for 16+ years … until it finally was too expensive to maintain. Since I drive over 50 miles a day to work (round trip), we decided to buy my latest car that got good gas mileage. Our goal now is to drive this car as long as it lasts … hopefully another 16+ years like my last one. Looking back, there are a bunch of things we could have done differently … like buying used cars instead of new. We could have also lived closer to my work so that I didn’t need a car or at least gotten by with a less reliable vehicle. The good news is we plan to continue driving our vehicles for many more years … even after they are paid off. But even though we will eventually pay off both cars, the costs of owning them won’t stop there. Let’s take a look at how much we spend on transportation per year. 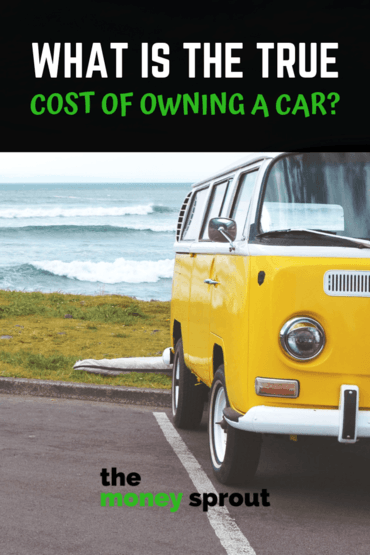 How Much Do Our Cars Cost per Year? During 2018, we were working to pay off two different vehicle loans … both of which had low interest rates. At the start of 2019, we are still paying off the same two loans with the same interest rates. Our family van (car loan #1) has an interest rate just over 1% and we now have 6 months before it is paid off. The second vehicle (car loan #2) has a 0% interest rate, so we are not in a rush to pay that off … although it would feel nice with no car payments. While it is easy to figure out how much money we spent paying off our loans last year, what about the other expenses? Owning a car has more than just monthly payments as you can see below. The total of all these combined expenses make our transportation costs the second highest budget item after housing. Our total vehicle expenses one year ago (in 2017) were $12,604.12, so we came down a bit. Until we can pay off our first car, we won’t see a big drop in annual transportation costs. Not surprising … but our monthly car loan payments made up the bulk of our transportation expenses. The good news is that we will have our van paid off likely in July … so we are close to eliminating one expense. Note – Our payments on loan #1 dropped a bunch in 2018 compared to the prior year. We pre-paid a lot of that loan at the end of 2017 and didn’t pay as much in 2018. Probably not the best decision but that is the reason for the big drop. Next on the list was gas … up over $400 from last year. We did take an extra couple of vacations last year … which is likely where some of the extra costs came from. After car payments and gas … our maintenance was next on the transportation costs. We had over $2,000 extra in expenses! Our van which is getting older needed new tires, shocks and struts. So even though we are close to having the vehicle paid off … these maintenance costs for aging vehicles can hurt a bunch. After maintenance expenses, insurance was next on the list. Our car insurance dropped about $300 … which kinda shocked me. But our cars are getting older and we have good driving records. The bad news is that at the end of this year (2019) … our oldest child will get his drivers license. That means car insurance will likely skyrocket. Finally, we paid over $400 for registration and plate fee’s in our state for the two vehicles. This was almost $200 more than last year … so I need to figure out why? Overall, we paid $12,383.91 to drive our 2 cars. That averages out to $1,031.99 per month. That monthly total comes out to 20.6% of our average take home income. We try and budget for $5,000 of spending (take home pay after taxes) each month. So I am sure you can tell, transportation makes up a huge chunk of our monthly spending. Just over 20% of our take home income is used to pay for transportation. When we look at our car expenses as a whole … that is a ton of money going out every month for transportation. Then if you add in our cost if home ownership (37%) with our transportation costs … that is a combined 57% of our income. It kinda hurts when you look at it this way! The good news is that our first car loan will be paid off within the year, which will put our transportation costs at about 17%. That is still a big number but much better than were we currently are at. As a result of reviewing both our home ownership and transportation expenses, my wife and I are looking for ways to fix this. We have considered selling our house and moving closer to my work. I have also considered leaving my job eventually to start a home business. There are pros and cons to that choice. Either of these options would help to drastically reduce our spending and give us more money for our savings and investments. But we are not in a immediate hurry to move … since we have 3 kids in a good school district. But it sure would help us optimize our spending in these areas. No matter what we end up deciding to do … my advice to my children and anyone else just starting out is to try and “hack your transportation” as much as possible. And while you are at it “hack your housing” too! If I had to start all over again, I would plan for my job and home to be within biking distance. This would allow us to live with just one family car and drastically cut down on our transportation expenses. I would try and hack our transportation costs as much as possible in combination with our home ownership costs. Buying a much smaller home would help … which I’ve discussed many times here already. I would also have given more consideration to finding a job where I could work from home. Then it wouldn’t matter where our house was located. There is still time for us to change our situation though, but it will depend how much we are willing to change our current lifestyle. Do you hack your transportation costs by living close to work? What other hacks have you done to lower your housing and transportation costs?